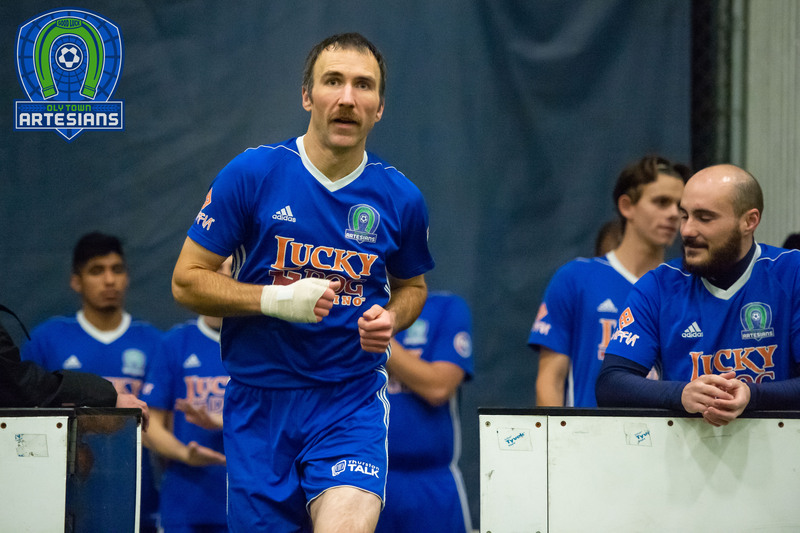 OLYMPIA, Wash. – The Oly Town Artesians hit the road again when they travel south for the first time to take on the Vancouver Victory at the Clark County Indoor Sports Center on Saturday night. 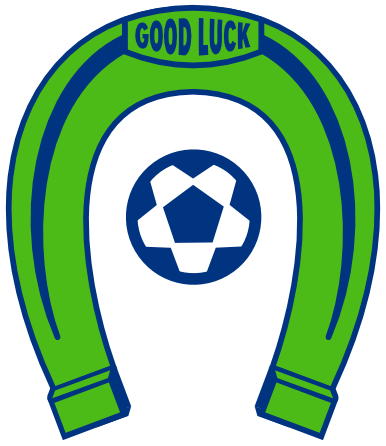 Both teams are looking for their first Western Indoor Soccer League win of the season after dropping identical 9-5 losses in their openers. The game also marks the Victory’s first home indoor game in club history. The Artesians played three solid quarters on Saturday night in Everett before fraying at the end. Willie Spurr scored four goals in the contest, a club record for the most in one game and his club leading 14th career goal. Vancouver area native Kyle Wiese added a goal of his own in the fourth quarter burying a rebound off of a shot by Spurr. Evan Munn played a solid game between the pipes in the loss and the 19 year-old from Tacoma Community College will likely get the start in goal again against the Victory. JC Henson returns to the Artesians lineup this week. Henson scored four goals in three games after joining Oly late last season and will bring some firepower to the front line. 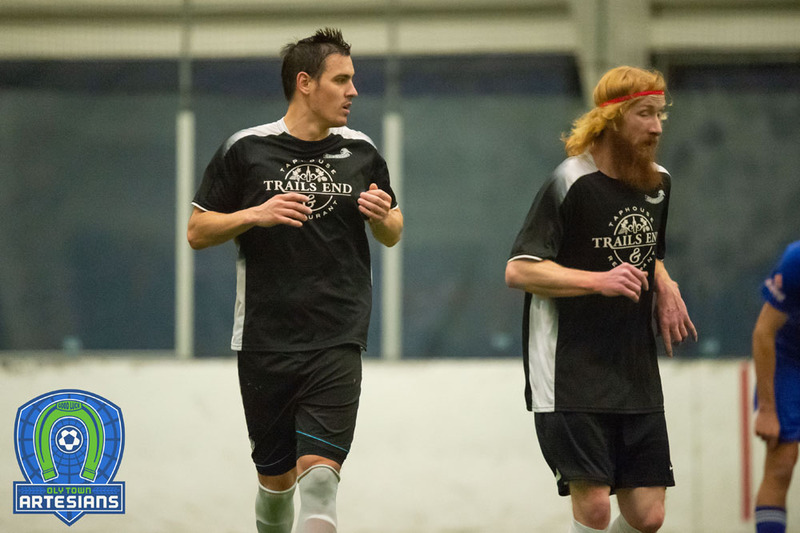 Henson scored a goal for the Tacoma Stars Reserves in week one against Sporting Everett FC. The Sierra Vista, Arizona native played professionally with Seattle of the Major Arena Soccer League last season. 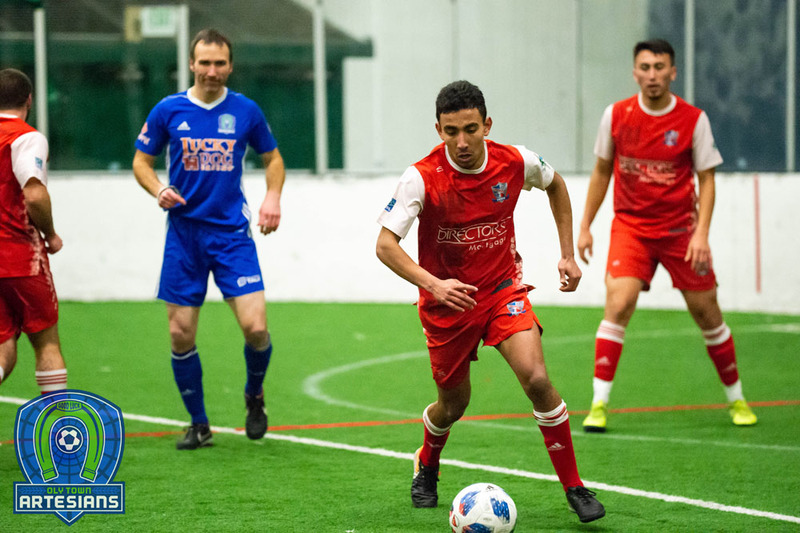 Jerson Mejia scored the first indoor goal for the Vancouver Victory in a 9-5 loss to Bellingham United on November 22nd. Jared Brace got a brace with two goals against the Hammers and Codie Guthrie and Bryanth Garcia each notched a goal in the loss. The Victory wrapped up their second season in the outdoor Evergreen Premier League in the summer and joined in on the fun indoors this season. The Artesians open their home slate and celebrate the holiday season at The Pavilion at The Evergreen State College on Saturday, December 19th. Doors open at 5:00 PM and first kick is scheduled for 6:00. Season and individual tickets are now on sale. To follow Saturday night’s game and the entire season, follow the Artesians on Twitter (@OlyTownFC) or like them on Facebook.